I don’t make brussel sprouts very often because it’s one of the few vegetables that my kids don’t really love. 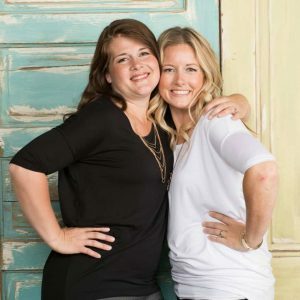 For me on the other hand, they are one of my very favorites. When I was about 11 years old, I was sneaking some brussel sprouts from the bowl just before Thanksgiving dinner. My aunt caught me and said “I won’t tell if you eat all of those!” I remember being surprised that everyone didn’t love them as much as I did. 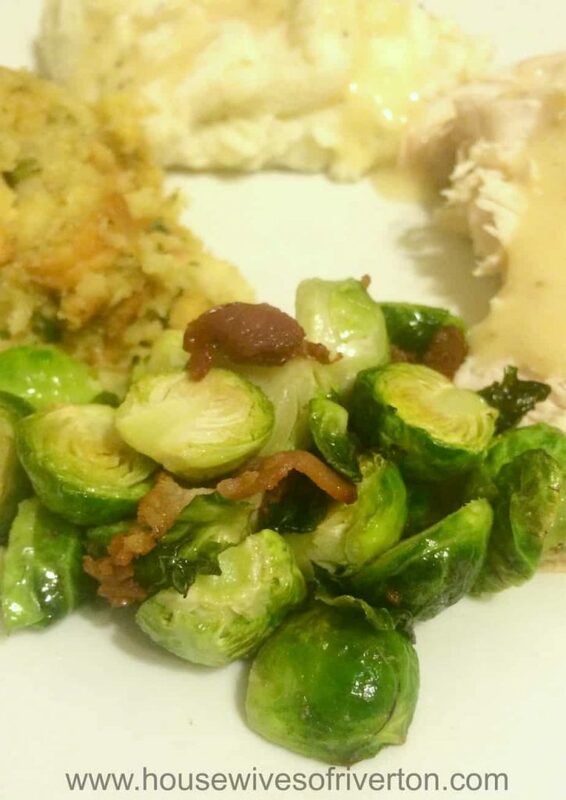 This year I decided to change up the way I prepared them and made Oven Roasted Bacon Brussel Sprouts. Heat oven on a low broil. Chop your bacon, fry and drain it. Set aside. Slice brussel sprouts in half and toss your in the olive oil. Lay out on a baking sheet, sprinkle with salt and broil on low for 8 mins, add bacon and stir. Broil for another 6-8 minutes. They should be tender but not mushy. 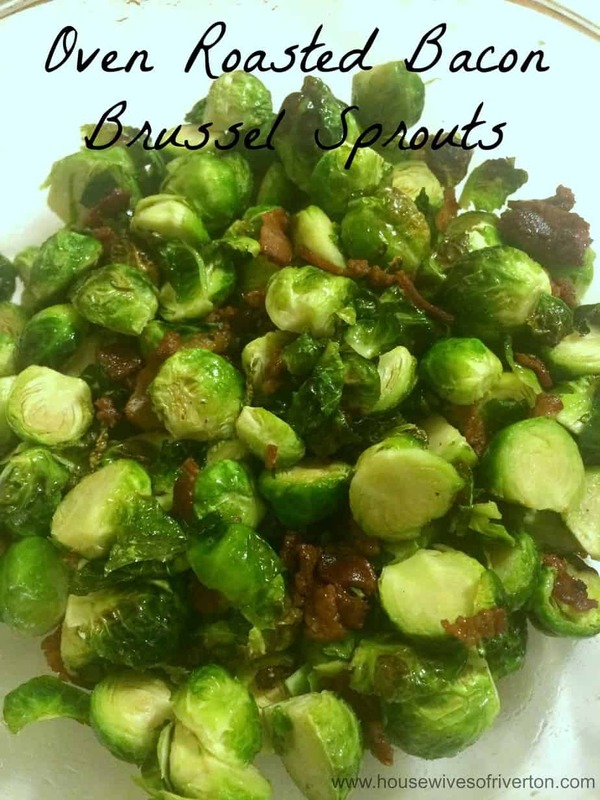 If you like brussel sprouts on Thanksgiving, you’ll love these! They also go well with almost any chicken dish! Enjoy!